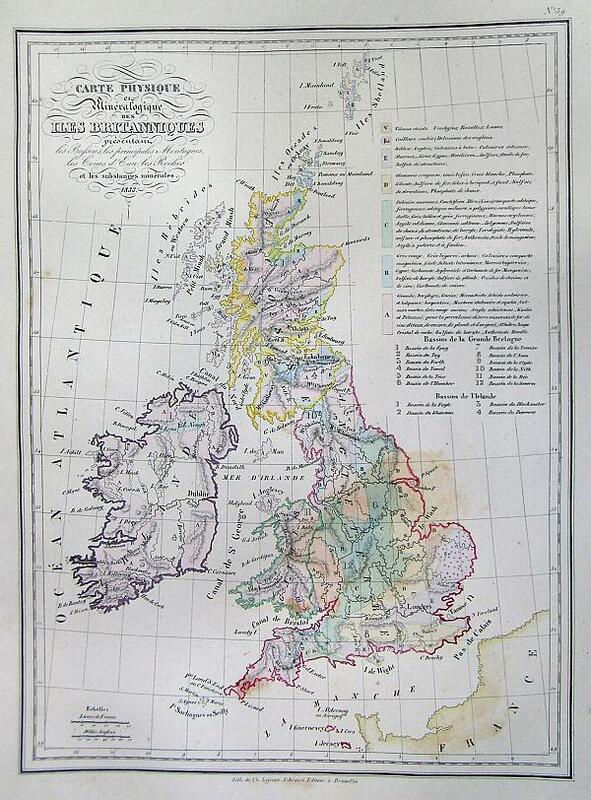 This is a beautiful 1837 copperplate lithograph map of the British Isles, including England, Scotland and Ireland. All text is in French. Good condition, with minor stain, see photo.